The commentary and FOX Sports 1 teams for UFC 231 have been revealed. This Saturday night (Dec. 8), UFC 231 will take place inside the Scotiabank Arena in Toronto, Ontario, Canada. In the main event, Max Holloway will defend his UFC featherweight title against Brian Ortega. That isn’t the only championship tilt set for the card. Valentina Shevchenko & Joanna Jedrzejczyk will be competing for the vacant UFC women’s flyweight title. FOX Sports officials have confirmed to MMAJunkie.com the broadcast plans for the pay-per-view and the FOX Sports pre-fight and post-fight shows. As expected, play-by-play commentator Jon Anik will be joined by Joe Rogan for the pay-per-view. 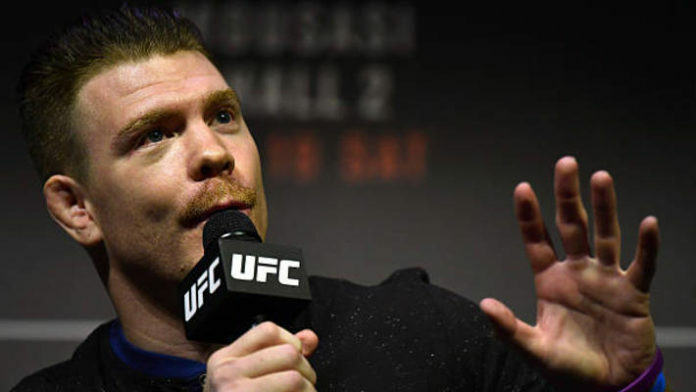 It’ll be a three-man booth as UFC lightweight Paul Felder will also be serving as a color commentator. As for the FS1 panel, Brendan Fitzgerald will serve as the host and he’ll be joined by analysts Tyron Woodley and Rashad Evans. Megan Olivi will be on the scene providing interviews. Over on FOX Deportes, Fabricio Werdum will join Victor Davila and Mario Delgado on the call. This will be for the Spanish-language broadcast. MMA News will be providing live coverage of UFC 231. Be sure to join us for live results, highlights and post-fight tidbits. Also, check back here on Friday as the weigh-ins for the event will take place. We’ve got you covered with early morning weigh-ins as well as the ceremonial festivities later that evening. What do you think of the broadcast plans for UFC 231? Does the presentation mean anything to you, or are you just invested in the fights?